There are not that many people who are lucky enough to have no scar mark their skin. Many times due to bad care, a wound healing process drags on, which is difficult and the skin is left visible scarred and anti-aesthetic. It is important to know that the healing process varies from person to person, and the wounds also heal differently. Many times people cannot avoid the ‘aftermath’ of the wound, as this is the result of the normal healing process of the skin. Everything depends on the skin type, magnitude and depth of the wound. But one can intervene so that the skin and scar look as best as possible, and therefore less noticeable. 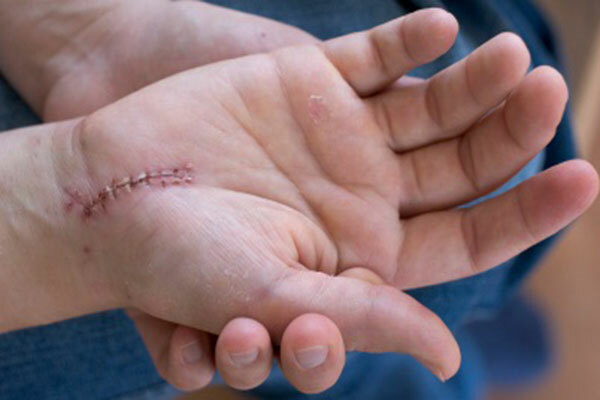 Implement preventive measures as early as possible, and in some cases even before the scar itself occurs, such as the case of surgical operations scheduled in advance. In addition, you should always consult a health care professional that controls and monitors the treatment. It is essential to avoid sun exposure as part of routine care, as its radiation can aggravate the scars. Because of this, sunscreen with a protection factor of 50 should be applied between fifteen and thirty minutes before going out in the sun, followed by a new application after starting the exposure. Keep the damaged area hydrated with creams and masks to retain moisture, since water evaporates much faster from some scar positions. There are many products that can help restore this ‘water barrier’, from oil to minerals and petroleum jelly, beeswax, plant oils, etc. Massages tailored to the state of inflammation of the scar are other standard treatments especially for burns. However, this should be done carefully, because it may have some other side effects; in fact, it is contraindicated for infection and should in no case be painful. Wounds in a healing process are subjected to jerks and pressure due to movement of the skin and muscles. 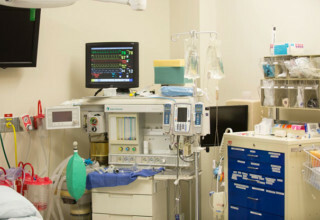 To avoid this, a common technique is to apply sterile bandages and sutures. This type of microporous products allow transpiration of water vapor, thereby shortening the period of maturation of the scar. Fluid silicone gel is another good alternative for the most exposed areas of the body and for those who seek total protection, because it favors the softening of scars and reduces redness. What about the most complicated cases? While following the implementation of these measures, it is always recommended that the doctor check the progress of the scar four to six weeks. The doctor is the one who must evaluate the advisability of implementing additional treatments such as the use of medical supplies in the form of medicinal ointments and creams, physical therapy, pressure garments, silicone application, injections or laser, and so on. In certain cases, surgery can be a method of cosmetic correction, but usually should be resorted to only when the scar is fully mature. There are various techniques, such as ‘excision and primary cutting’, dermabrasion or skin substitutes. Scars that are more serious can also become a cosmetic problem for anyone who is suffering, even causing trouble in the personal and social life. In this sense, there are simple techniques that can be adapted so that a person can camouflage their appearance, and sometimes it may be beneficial to use tattoos, such as the case of disappearance of the eyebrows and eyelashes due to postoperative scars. In certain cases scars may interfere with the patient’s daily life, social relationships or even their job. This can cause psychological disorders that can be treated through psychotherapy, always bearing in mind that this option is fully compatible with other treatments, such as surgical interventions. In addition to preventing the formation of noticeable scars, the aforementioned care can be used in order to prevent infection in wounds, which can only entail longer treatments, and cause even more visible marks. For some people, healing process can be inherently difficult whether the wound is large or small, so when in doubt always consult a professional. Diana Smith is a full time mom of two beautiful girls and a great beauty and fashion lover. In her free time she likes to read about alternative medicine and meditation.